Utah Museum of Natural History, University of Utah. 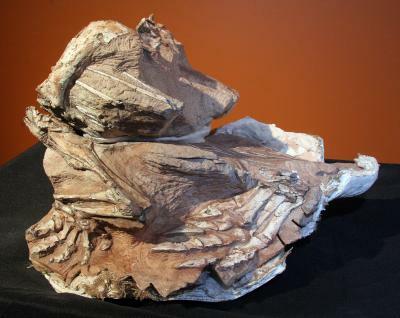 Utah's red rocks – world-famous attractions at numerous national parks, monuments and state parks – have yielded a rare skeleton of a new species of plant-eating dinosaur that lived 185 million years ago and may have been buried alive by a collapsing sand dune. The discovery confirms the widespread success of sauropodomorph dinosaurs during the Early Jurassic Period. Until now, Utah's red rocks were known only for a few scattered bones and dinosaur footprints. However, discovery of a remarkably preserved partial skeleton is being published in the March 24 edition of PLoS ONE, the online open-access journal produced by the Public Library of Science. 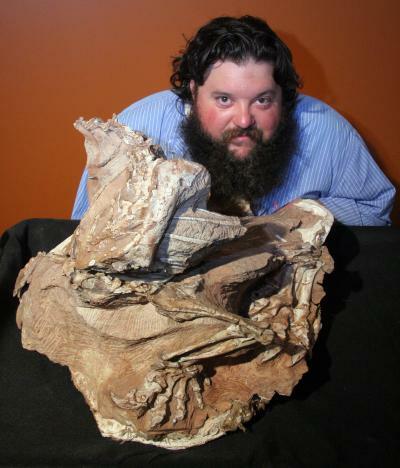 The study was conducted by Joseph Sertich, a former University of Utah master's student and current Stony Brook University Ph.D. student, and Mark Loewen, a paleontologist at the Utah Museum of Natural History and instructor in the Department of Geology and Geophysics at the University of Utah. The new dinosaur species is named Seitaad ruessi (SAY-eet-AWD ROO-ess-EYE), which is derived from the Navajo word, "Seit'aad," a sand-desert monster from the Navajo (Diné) creation legend that swallowed its victims in sand dunes (the skeleton of Seitaad had been "swallowed" in a fossilized sand dune when it was discovered); and Ruess, after the artist, poet, naturalist and explorer Everett Ruess who mysteriously disappeared in the red rock country of southern Utah in 1934 at age 20. The skeleton of Seitaad was discovered protruding from the multicolored cliffs of Navajo Sandstone in 2004 by local historian and artist, Joe Pachak, while hiking in the Comb Ridge area near Bluff, Utah. 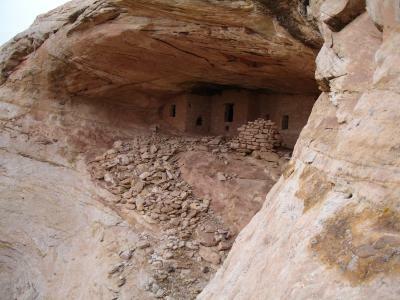 His discovery, located just below an ancestral Puebloan (Anasazi) cliff-dwelling, was subsequently reported to the federal Bureau of Land Management (BLM) and the Utah Museum of Natural History. Museum paleontologists and crews excavated and collected the specimen in 2005. Early sauropodomorphs, including Seitaad, had long necks and tails with small heads and leaf-shaped teeth, suggesting that they were specialized for an herbivorous (plant-eating) diet. These same traits were carried on in their much larger descendents, the sauropods. "Although Seitaad was preserved in a sand dune, this ancient desert must have included wetter areas with enough plants to support these smaller dinosaurs and other animals," said Sertich. "Just like in deserts today, life would have been difficult in Utah's ancient 'sand sea.'" According to Loewen, "We know from geologic evidence that seasonal rainstorms like today's summer monsoons provided much of the moisture in this sand sea, filling ponds and other low spots between the sand dunes." Although the Navajo Sandstone is exposed all over Utah and Arizona, fossils are extremely rare and we have not yet learned much about the animals that lived in this giant desert. Other animals that lived in the Navajo Sandstone were all relatively small animals, including a carnivorous dinosaur, crocodile relatives and proto-mammals called tritylodonts. Even though Seitaad was quite small, it was likely the largest herbivore during this time period in southern Utah. "This new find suggests that there may be more dinosaurs yet to be discovered in these rocks," said Sertich.